We want to make registering your children for school as simple as possible, but there are a few items that are required for us to complete the process. Please allow thirty minutes to an hour for registration. 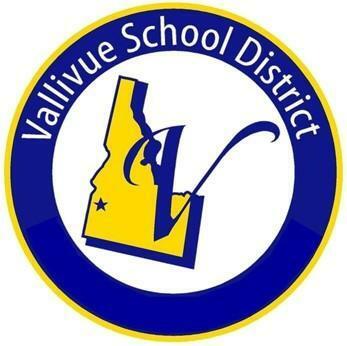 Only students meeting the “at-risk” criteria according to the STATE of IDAHO and confirmed by a School Counselor, may attend Vallivue Secondary Summer School. NO advanced opportunities are offered during summer school. To enroll in kindergarten, your child must be 5 years old on or before September 1. At the time of admission and before attendance, Idaho State Law, (IDAPA 16, Title 02, Chapter 15 and Idaho Statute Title 39, Chapter 48) states that children from Pre-school through 12th grade must provide proof of their immunizations verified by a physician or physician's representative indicating the month, day, and year immunizations were received. Students who are not in compliance with the Idaho's immunization requirements will be denied attendance. ■ Immunizations must meet Idaho State laws regarding minimum age and spacing of doses (IDAPA 16.02.15). ■ Exemption from immunizations may be requested for medical, religious, or personal reasons. ■ Usted puede solicitar una exención para no recibir vacunas por razones médicas, religiosas o personales.